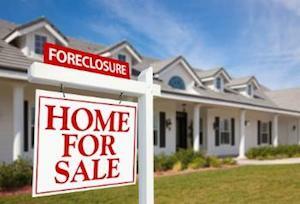 Stop your Home Foreclosure Now! Auburn Bankruptcy Attorneys Stop your home foreclosure now! Bankruptcy and your homeWhat happens to my house when I file for bankruptcy? When a homeowner falls behind on house payments, the mortgage company can force the sale of the house at auction to collect the money. This process is known as foreclosure. A bankruptcy filing stops a foreclosure immediately and allows the homeowner time to reorganize their finances and improve cash flow. Our Auburn home foreclosure and bankruptcy lawyers have helped hundreds of people throughout King County save their house from foreclosure. If you qualify, filing for bankruptcy bankruptcy and saving your home from foreclosure is your legal right! Most mortgages in Washington state are deeds in trust where the bank does not have to take the homeowner to court to foreclose. The bank issues a notice of default and if the homeowner does not come up with the entire amount of the default within four months the bank can ask a trustee to sell the house at auction. A bankruptcy can stop the foreclosure up to the time the property is sold at auction. Washington law requires a mortgage company to offer a meeting then a chance to mediate before sending the notice of default. If you are behind on your mortgage, pay attention to any offers for meetings and mediation you receive because this can buy you time before the notice of default goes out. 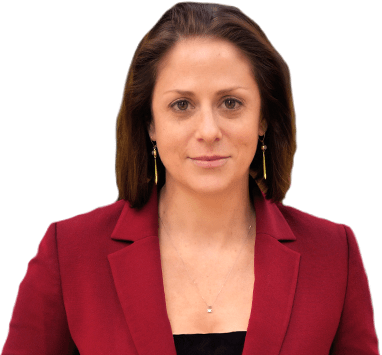 A Chapter 7 bankruptcy will stop the foreclosure but it does not offer a long term solution to cure the mortgage arrears (other than freeing up cash flow by eliminating other debt). If a homeowner is behind in mortgage payments in a Chapter 7, the mortgage company can ask the bankruptcy court to “modify the automatic stay” and continue with the foreclosure in as little as a month. Our Auburn bankruptcy attorneys want you to understand that when it comes to Chapter 7 protection and your home, you have extremely important legal rights and options. How can filing an Auburn Chapter 13 bankruptcy stop my home foreclosure sale permanently? 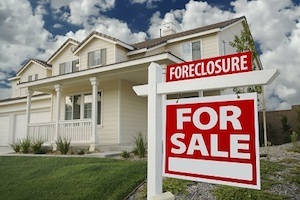 A Chapter 13 offers a long term solution to foreclosure. You can consolidate the mortgage arrears with other debt in a Chapter 13 plan and pay them back over five years. As long as the plan is confirmed and you stick to it, the mortgage company has to go along with it and cannot foreclosure. At the end of the plan you will be caught up with the mortgage and you continue to make your payments as always. You can not change the terms of the mortgage in a Chapter 13. However, you can strip a second mortgage off your home in a Chapter 13 if the value of the home is less than the balance of the first mortgage. You can continue with a mortgage modification in either Chapter 7 or Chapter 13. You need to have your attorney sign off on a letter giving the mortgage company permission to keep talking to you because any communication with you could be seen as an attempt to collect a debt, which is prohibited by the automatic stay. Our Auburn bankruptcy and home foreclosure lawyers want you to know that when it comes to Chapter 13 bankruptcy protection and your house, you have incredibly important legal rights and options. If are wondering whether or not you can qualify for Washington State bankruptcy protection and relief while saving your home from the auction block, we strongly encourage you to call our offices before you fall too far behind and are facing an imminent sale. Our bankruptcy attorneys are skilled and effective advocates who be happy will explain your legal rights and debt relief when it comes to home foreclosure here in Auburn, Washington.